As is known to all, mobile phones keep changing at regular times. When your desired phone finally comes, you possibly can't wait to update your old Android phone to the newest one. Before that, some of you may consider selling your old Android phone at the most of the money. But never ever sell your old Android phone on an impulse! To safely sell you old Android phone at the most of the money, there are two important things you need to do: backup important files and permanently erase personal files. 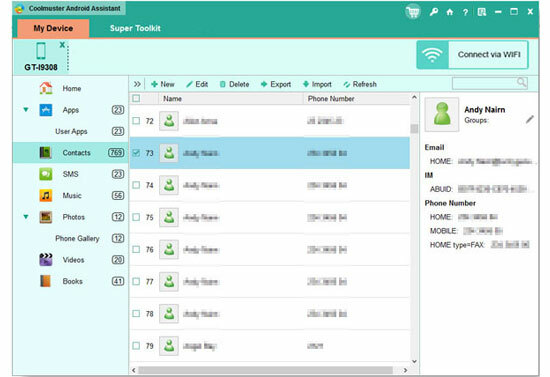 To backup important files, a professional assistant can't be missed, such as this Coolmuster Android Backup Assistant. With this software, you are able to transfer anything from Android phone to computer, including contacts and messages which can't be easily accessed without a professional tool. No matter how many files you want to transfer from Android phone to the computer, it can always help do it within simple clicks. Below is the free trial version of this software! You can download the right version of this software to give it a try by yourself! > First of all, open the installed software on the computer and then get your Android phone connected to the computer via the USB cord. If required, just follow the steps to enable USB debugging on your phone as instructed. > Then enter the tabs on the left panel to preview more detailed information. Choose the files you want to transfer to the computer as a backup and click on Export option to begin the file transfer. > Finally, just wait for the process to get completed within a little while. Aside from backing up important files in case of sudden data losses, you also need to wipe out personal files from Android phones to guard against personal information leak. Then this Android Data Eraser is surely your top choice. 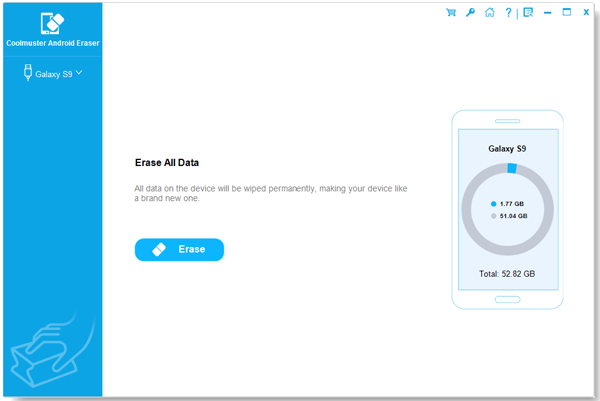 It enables you to permanently erase personal files like contacts, messages, private photos and many more from Android phones in an easy way, with zero possibility of being recovered. > After downloading the right version of this software, open it on the computer with double clicks. Then get your Android phone connected to the computer via the USB cord. > Then this software will scan through your Android phone and show you all files saved in the Android device. You need to select the files and click on Erase option to remove the personal files from your phone in one click.